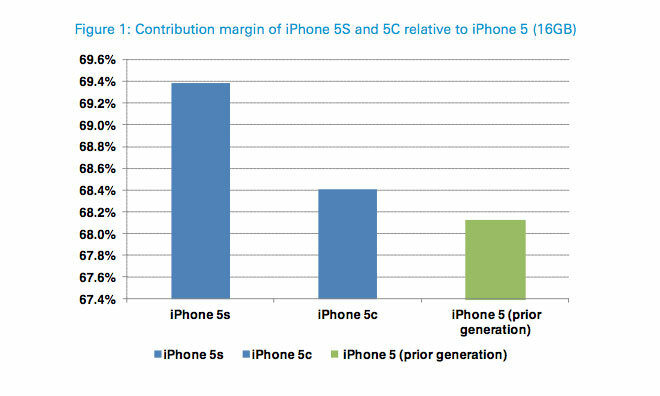 It looks like Apple is doing a better job at squeezing out profits on the iPhone 5c and iPhone 5s. The new handsets may yield higher margins than the previous generation, according to AppleInsider. According to Chris Whitmore of Deutsche Bank, profits margins on the entry level iPhone 5c and iPhone 5s have increased 0.50 percent and 1 percent, respectively compared to the iPhone 5. As a result, this should be “very beneficial” to Apple’s bottom line. Whitmore believes that this news, combined with the upcoming launch of the iPad 5, positions Apple “to deliver a strong holiday quarter.” The analyst doesn't believe that short-term iPhone 5s supply issues will mean all that much, at least in the long-term. According to the report, one customer service representative advised Whitmore that "demand's been so high [for the iPhone 5s] that we run out of stock in about 30 minutes." 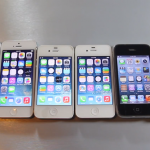 Online channel checks returned similar results for the iPhone 5s, with lead times from Apple and its major U.S. carrier partners at approximately 38, 21, and 24 days for the gold, space gray and silver models, respectively. 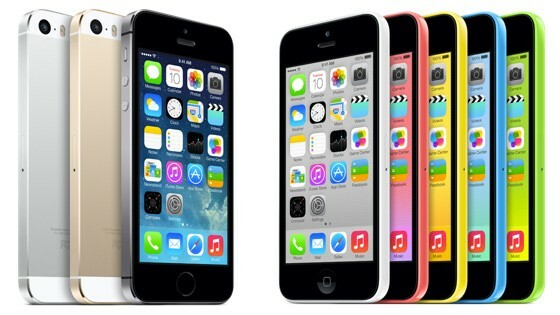 Last week, IHS noted that Apple spends between $191 and $210 on each iPhone 5s that is produced. Add the $8 per unit cost of assembly, and the cost rises to between $199 and $219. The iPhone 5c costs the company $173 to $183 per unit. Have you purchased a new iPhone, or are you waiting for the gold colored 5s? 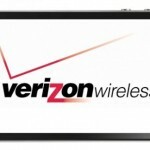 See also: Some Verizon Customers Have Been Able To Keep Unlimited Data When Upgrading, Look How Far We've Come: Every iPhone Handset Compared In New Video, and Virgin Mobile To Begin Carrying The iPhone 5s And iPhone 5c Without A Contract.